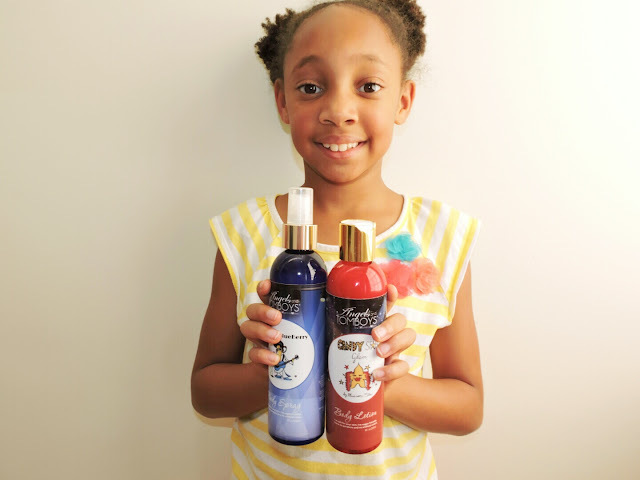 The girls and I were given these products free to give our honest opinions. My girls are growing up way too fast on me! Lauren will be 10 in October, going into the double digits, and Michelle is 8. I love seeing my girls getting older over the years, from babies in diapers, to toddlers throwing fits, and now school age girls becoming young ladies. With years of changes, what my girls taste with different things changes too and I have to keep up with it which can be exhausting. 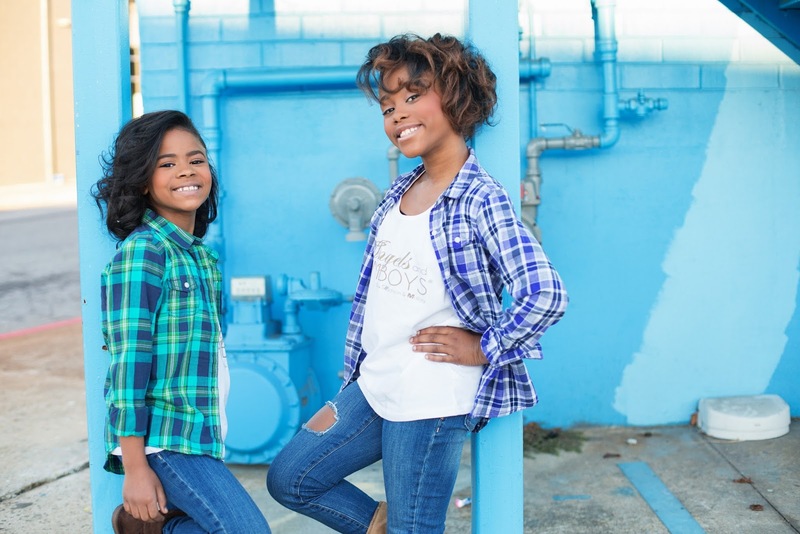 Since they are becoming little ladies they’re starting to get into what teens like; the latest fashion trends, popular teen shows, and gadgets. 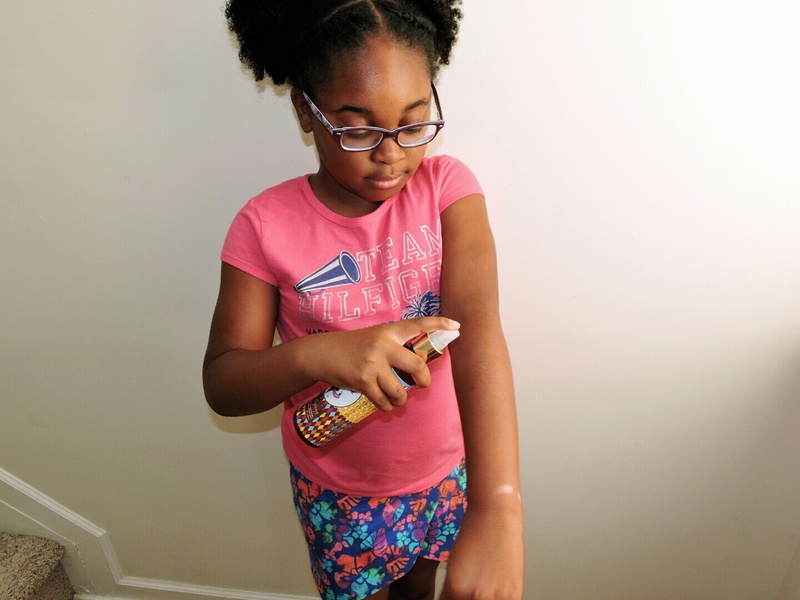 My girls are in the preteen’s stage and now they want to start wearing body lotions and sprays that are meant for older kids. The girls are always asking me to buy them body lotions from Bath and Body Works, but I think that place is a little too grown for them. I’ll buy the Christmas scents for them but that’s about it. Also, I’m dealing with eczema with Lauren and lotions with all those added chemicals is not good for her skin, it dries her skin out even more and make her itchy. There are lotions and sprays out there for teen girls, I’ve used them myself when I was a teen, but the smell was so artificial and the lotion doesn’t absorb or moisturize the skin, pretty much buying that stuff is a waste of money. For the past week, the girls and I had the pleasure of reviewing Angels and Tomboys, a skincare and beauty line for tweens and teens. The line features 10 scented lotions and body sprays that smell good enough to eat with names like: Rockin' Blueberry, Watermelon Funk, Candy Star Glam, Lemonade Doughnuts, Peanut Butter Jelly Time, Frozen Hot Chocolate, Happy Birthday!!! Strawberry Cupcake, Deep Fried Ice Cream and Cotton Candied Apples. 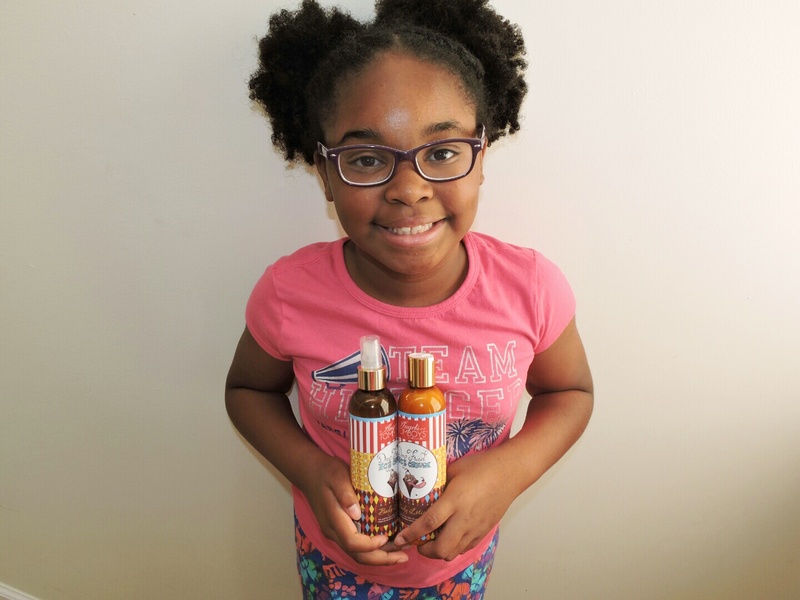 This line was created by two sister kidpreneurs in Memphis, Tennessee, Madison, 11, and Mallory, 9. How amazing! I really admire seeing young aspiring kids creating a business at such a young age! Just goes to show, it doesn’t matter what age you are, if you have a passion you can turn that passion into a business. 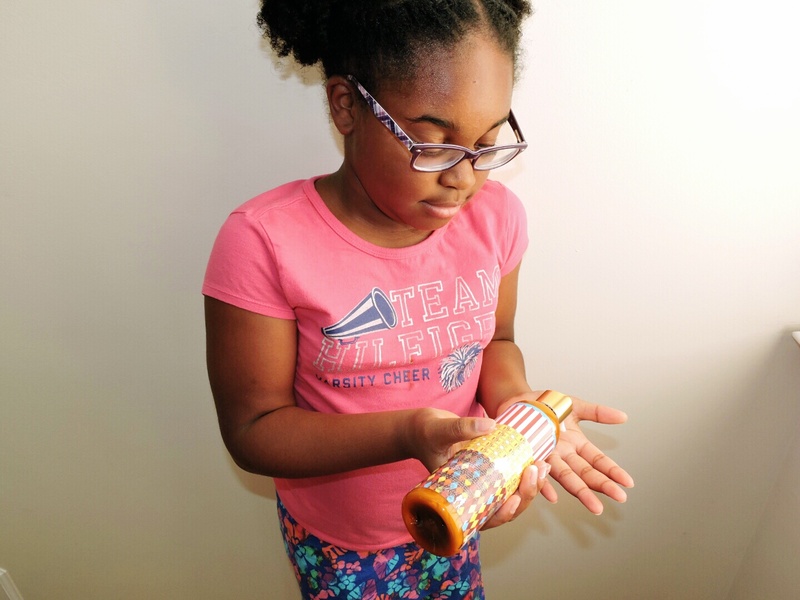 I told my girls they would be reviewing some body lotions and sprays meant for kids their age and they couldn’t wait to start trying them out, same with me too! The package came in a matter of days and both of my girls claimed which ones would be theirs. Before the girls and I started sampling, we took a look at the package; our thoughts were how cute it was and playful the characters are on the bottles. 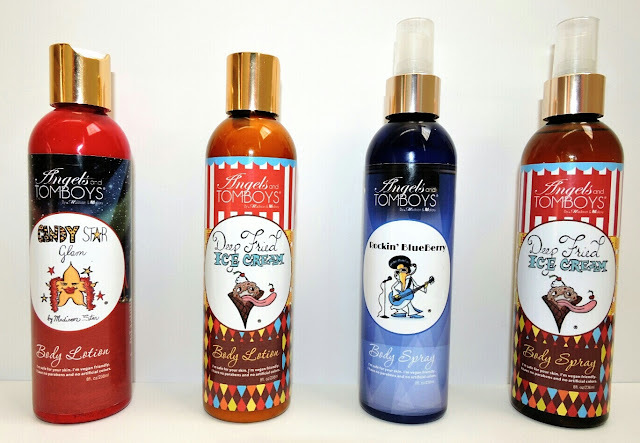 The packaging really caught our eyes, especially with me since the characters look like those scratch and sniff stickers I use to have when I was a child; if I were to see these lotions and sprays on the shelves in stores I would stop to take a look. I’m all about packaging, if the packaging doesn’t stand out and catches my attention I’m more than likely will pass by it not noticing it. I’m happy to see that these lotions and sprays don’t have all those harsh chemicals in it. It makes me feel good allowing my girls to wear it and it's not irritating or damaging their skin. As for the smell, smells just like what the package says. The fan favorite with the girls and I is the Deep Fried Ice Cream, it really makes you want to eat it and vanilla happens to be one of my favorite fragrances which is prefect to wear during the fall and winter months. Lotion glides on the skin nicely and keeps the skin moisturized. The scent of both lotions and sprays last all day and the smell is not overpowering, so you don’t have to worry about other people being disturbed by it. My girls will be looking fresh in their new outfits and smelling divine going back to school! Which scents would you like to try out? I love this post for so many reasons! I have two little girls ( 1 and 3). Although they are not at this stage in life, I can't wait until they get there. I also love the fact that this line was started by kidpreneurers! I love the fact it was started by kidpreneurs too! These products seem so cool for kids and I love the story behind them. I'm glad the scent isn't overpowering for kids. Your daughters are growing so nicely. I wish them a lovely school year. So so cute, and I love supporting little ladies that are thriving business owners. I know exactly what you mean about the scents we had when growing up. They were way to strong for me back then, and still too strong for me nowadays. Your daughters are gorgeous! Fried ice cream sounds amazing! I love that the company was started by children. Fried Ice Cream is amazing! Love that scent! Oh my gosh, these girls are just too cute! I love seeing young, black girls doing something so positive! And their packaging and scents are awesome! Go girls! I love seeing children living out their passions and dreams, very inspiring! Wow these look really good. Absolutely adorable! It's amazing that these girls came up with this idea. I expect they are amazing scents. The scents are really good and my girls been loving it!